Can Cats Get Cold – How Cold is Too Cold For a Cat? Despite their fur coat, cats can feel the cold. Fur acts as an insulation, but its effectiveness is limited. With a cold weather front set to hit the United States in the next few days, we take a look at cats and cold weather, as well as how to keep them warm. There are many variables, which include the overall health of the cat, medications, age, amount of subcutaneous fat as well as the weather itself. Indoor cats are not as acclimatised as outdoor cats. Is it dry or wet? A still cold day is less dangerous than a windy cold day. Wind chill and damp both increase the severity of serious consequences to the cat. 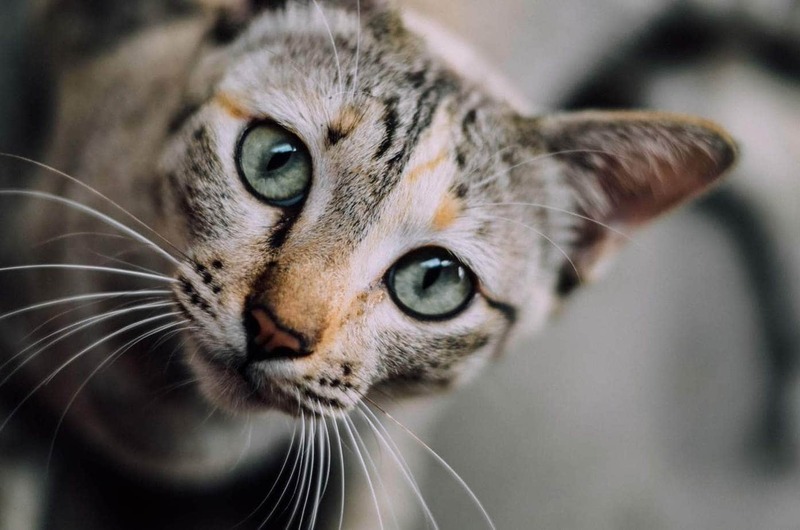 A wet cat is more at risk in the cold conditions than a dry cat and wind chill can increase the chances of the cat developing hypothermia or frostbite. This highlights the importance of safe, dry shelter for cats who go (or live) outside. As a rule, anything below zero degrees for a healthy adult cat, with a coat is too cold. Thin coated or bald breeds such as the Devon Rex and Sphynx are less able to withstand the cold. 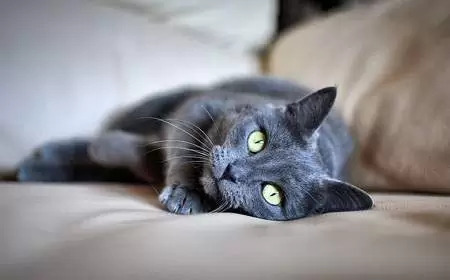 Other risk factors include the health and age of the cat, very young and very old cats are vulnerable as well as cats with medical conditions. What are the consequences of exposure to the cold? Cats are at risk of hypothermia, a potentially life-threatening condition in which the body temperature is too low. Frostbite is the damage or possible death to the skin and the underlying tissues due to prolonged exposure to extreme cold which causes water in the tissues to freeze. This results in the rupture of surrounding cells and their death. Areas with less or no hair such as the ears and feet are particularly vulnerable. Osteoarthritis is a painful condition in which the shock absorbing cartilage which cushions the joints wears down and is eventually lost. Cold and damp weather can increase pain in cats with arthritis. The affected area is pale blue-white in colour and may be cold to the touch. If third-degree frostbite has occurred, the affected area may feel hard to the touch. Depending on the severity, the cat may feel pain when the area is touched, or he may be completely numb. Blisters and ulceration of the affected area. Your cat may limp if he has frostbite on his feet. As the area thaws, it will become red and blistered, the fur may fall out and the area becomes blackened as the tissue dies off. The best way is to keep the cat indoors if it’s too cold for you, it’s definitely too cold for your cat. Bring the indoor/outdoor cats indoors if poor weather is forecast. For cats who are live outdoors (barn cats, ferals or strays), provide adequate shelter and protection from the elements. Shelter should be waterproof, block out the wind, drafts and rain, sleet and snow, easy to clean and keep the cat safe from predators. They can be an outdoor building with a comfortable bed, a store-bought kennel or kitty house or a specifically designed cat shelter (read here for instructions on how to make a very easy to build insulated outdoor cat shelter). Provide an outdoor rated heating pad, soft blankets or straw so that the cat is not sitting on cold surfaces. 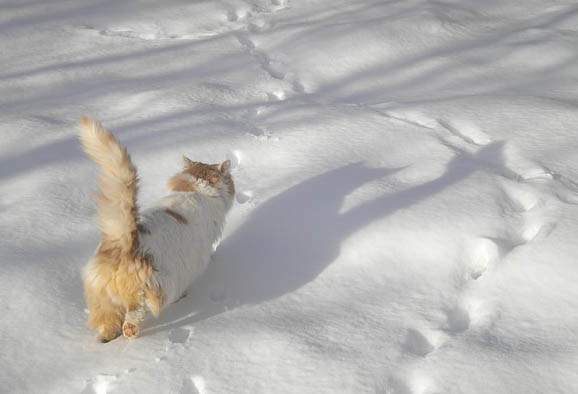 Outdoor only cats also need to consume more calories during the winter months as a considerable amount of calories are used to keep the cat warm. Place cat beds in a warm spot, away from drafts, and off the ground. Be aware of the dangers of radiators, fireplaces and other heat sources which can potentially burn the cat. Provide indoor/outdoor cats with a litter tray inside the house during severe weather. Cats will often find shelter in the engine compartment of a car which may still be warm from use or underneath the car. Always hit the bonnet and check underneath the car before starting it up. Antifreeze (ethylene glycol) is lethal to cats. Clean up spills immediately. How Long Can Wet Cat Food Stay Out For?